Jackson, MS – Visit Mississippi and the Mississippi Blues Commission invite all who wish to attend to a celebration of 10 years of the Mississippi Blues Trail on Monday, Dec. 12th at 7 p.m. with a Blue Monday Jam at Hal & Mal’s, located at 200 Commerce St., Jackson, MS. 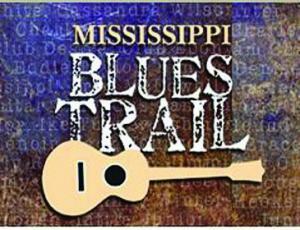 The Mississippi Blues Trail was created by the Mississippi Blues Commission in 2006 to place interpretive markers at the most notable historical sites related to the birth, growth and influence of the blues throughout and beyond the state of Mississippi. So far, there are 178 in-state, 13 out-of-state and three international blues trail markers. The program’s first marker was unveiled December 11th, 2006, in Holly Ridge, to honor Charley Patton, a dominant figure in the pioneering era of Delta blues. The most recent, was unveiled on October 8th, 2016, in Bruce, to honor the Calhoun County blues and artists Leo “Bud” Welch, and John “Ace” Cannon. Within the state, the trail extends from the Gulf Coast north along several highways to Natchez, Vicksburg, Jackson, Leland, Greenwood, Clarksdale, Tunica, Grenada, Oxford, Columbus, Meridian and many other points. The largest concentration of markers is in the Mississippi Delta.